A joint venture between leading superannuation fund Hostplus and highly acclaimed property developer Hamton, has appointed Meinhardt as civil engineers for the $2billion redevelopment of the Moonee Valley Racecourse into a dynamic urban lifestyle precinct, which is being undertaken in partnership with Moonee Valley Racing Club (MVRC). A new grandstand designed by Cox Architecture, re-oriented racetrack and redeveloped infield. “The development of this urban renewal project will bring opportunities for coordinated, master planned, site wide infrastructure and civil engineering. 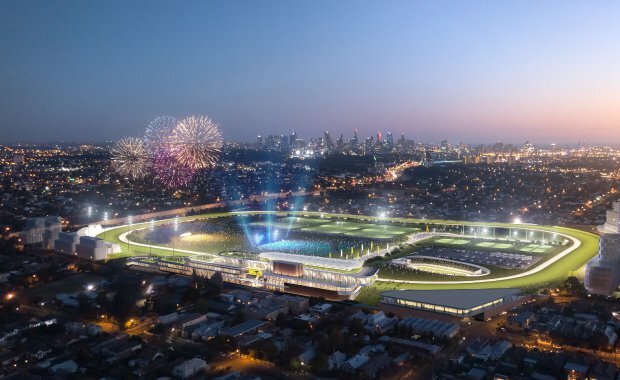 We will work hard to ensure the outcome meets and exceeds the expectations of the community, project stakeholders and members of Moonee Valley Racing Club,” said Scott Carne, Associate – Land Development. “The engagement on this project cements Meinhardt capability as leaders in Civil Engineering, Infrastructure and Development Master Planning of large scale urban renewal projects across Australia and the world,” he added.